Trafikverkets webbutik. 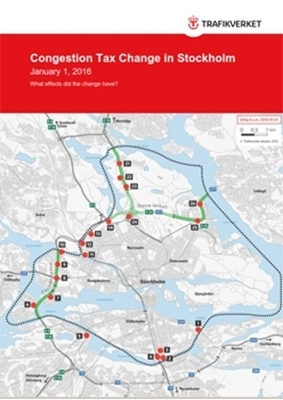 Congestion Tax Change in Stockholm, January 1, 2016: What effects did the change have? Congestion Tax Change in Stockholm, January 1, 2016: What effects did the change have? The purpose of this PM is to summarize the findings in the Swedish Transport Administration’s (Trafikverket’s) report 2017:123 (available in Swedish). The purpose of the report was to describe the effects on traffic that occurred as a result of the congestion tax change that went into effect on January 1, 2016.